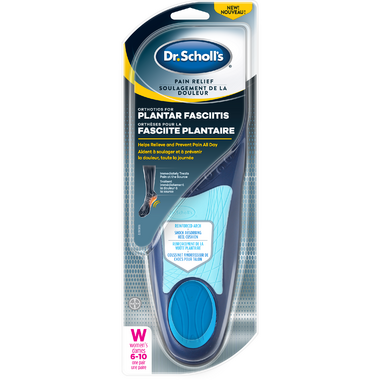 Dr. Scholl’s® Plantar Fasciitis Pain Relief Orthotics provide you with immediate, all-day, clinically proven pain relief from plantar fasciitis. Reduce the impact of every step by supporting the heel's natural padding. Made with a soft foam to absorb shock and a tapered design that won't crowd toes. Make sure to wear insoles in both shoes, even if only one foot hurts.